THERE’S a lot to come for Longbridge, and we’re still scraping the surface of its long and bittersweet history. LONGBRIDGE is not going to feature on any list of glamorous places to see before you die. On this cold winter Thursday a chill wind scampers across the parkland opposite the car plant and slips frostily through the deserted factory gates. Just over year ago traffic and transporters streamed constantly through here. 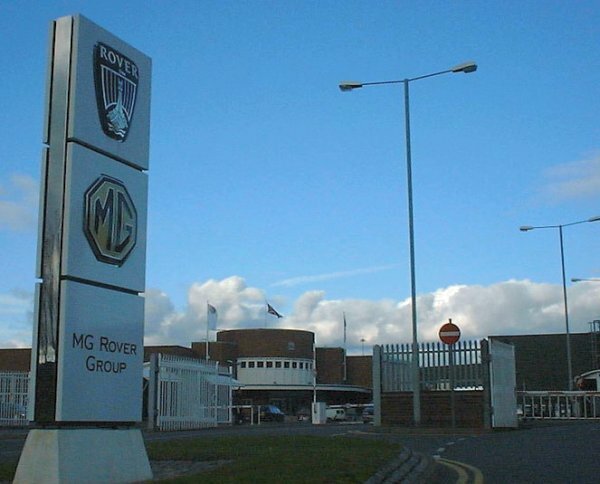 Just over a year ago is also when I came to have a poke around the MG Rover factory and hear confident tales of joint ventures with Chinese firms. Shortly afterwards it all went badly wrong which, inadvertently, made me the last journalist to be officially invited into the place. Not a brilliant claim to fame, but one that I personally find mildly poignant and reason enough to make a brief detour this cold winter Thursday, just to see what’s happening at the old place. Two Chinese lads in overalls trudge down the hill and disappear into the old Flight Shed building, once a hangar used to build wartime bombers, latterly home to the Test & Development department. 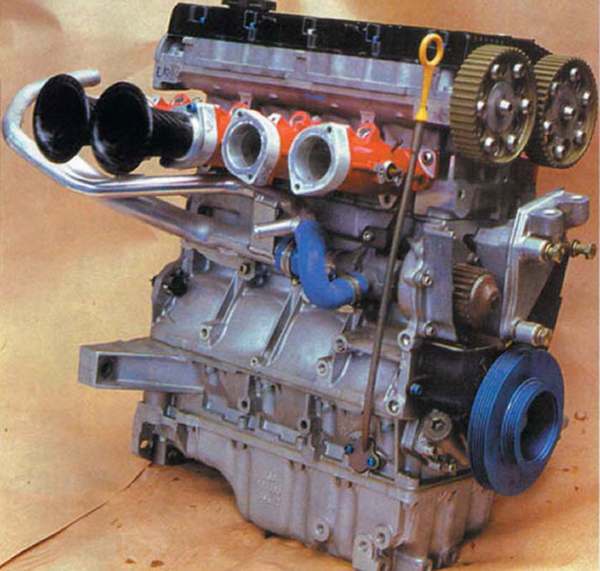 It was in here that MG Rover’s last big project, the V8 engined MG ZT, was completed. At one point the car was displaying worrying levels of axle tramp, the kind that would send Mercedes back to their data loggers and complicated analysis machines. But the Flight Shed boys took a V8 prototype, lashed it to the workshop walls and then got an engineer to sit inside doing an extended static burnout whilst a plucky colleague lay underneath the back of the car to see what was causing the trouble. That’s the sort of make-do Spitfire spirit that seems to be ingrained in Longbridge, or at least it was. Today there’s precious little sign of activity. Down the back of the building a lone MG ZT sits forlorn and wheel-less on its brake discs. Maybe those two Chinese blokes needed the alloys for some vital project. Maybe they’re just here snaffle all the socket sets and girly calendars. Up at the main entrance the gates are open but there’s no sign of life. Behind the railings unregistered cars are strewn everywhere. The administrators have been trying to offload everything as best they can with an apparent mentality that if it runs, flog it. Normal industry practise crushes R&D cars and claims back the VAT but here some non-standard stragglers have been shipped out with all the production left-overs. One dealer has a Rover 75 V8 development hack with the nose of an MG; another offers an 04-plate V8 whose stellar 62,000 mile odo reading betrays its life as a durability car, pounded round and round Birmingham in 24 shifts to make sure nothing broke. Somewhere out in dealerland there’s even a normal-looking MG ZT estate with a Fiat JTD engine, a refugee from an MG Rover plan to buy in diesels from Italy, scuppered close to production when Turin asked for too much cash. Just before the corner where Lowhill Lane meets Bristol Road the perimeter fence is broken by a small, faintly Art Deco-ish security cabin, its windows now smashed in. 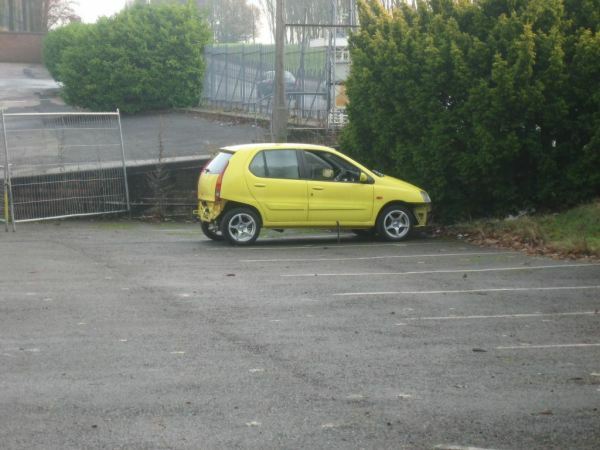 Behind it in an otherwise empty car park sits a bright yellow Tata Indica, the sad supermini that became the even sadder CityRover. It’s an early evaluation car, subsequently stripped of its interior and left bumper-less to fester in a far outpost of the site, like a child sent to the naughty corner. In its tissue thin re-hashing and greedy overpricing the CityRover was much that was bad about Rover management. It didn’t sink Longbridge, it wasn’t even made there, but it did leave a nasty aftertaste in the factory’s dying days. There’s currently a notion that Rover will ride again in South Birmingham, that somehow the new Chinese custodians will persuade out-of-pocket suppliers to give them more parts, will update the old model range and will then come up with some kind of rejuvenated dealer infrastructure. 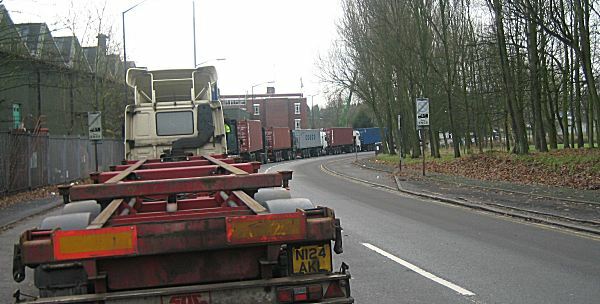 Walking back to the car, past a vast snake of stationary container trucks outside the silent Powertrain engine works, you’d have to say that doesn’t look very likely. If the Chinese aren’t crating production lines and sending them home then they must be stealing an awful lot of stationary. Despite stories of a renewed lease on the Longbridge land it wouldn’t be a shock to discover that pretty soon all that’s left is an easily demolished shell and plans for another leisure shopping omniplex. The ghost of what was once Britain’s largest car factory will be blown away on the wind that currently whistles through the old factory gates. 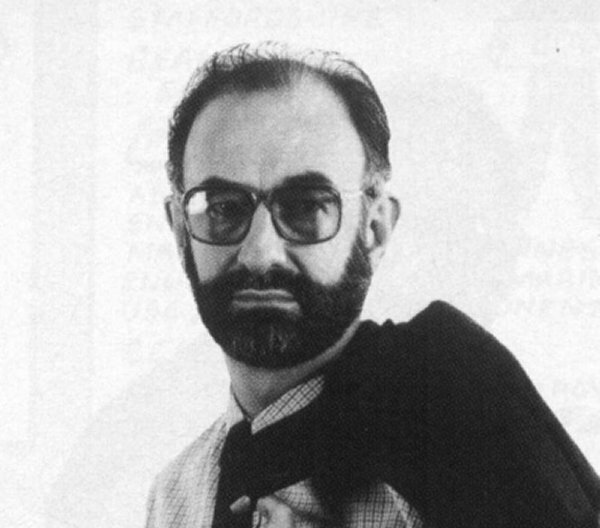 Richard Porter is responsible for the Sniff Petrol website. Thanks to Evo magazine for allowing us to reproduce this piece. Essay : K-Series – what makes it tick?